Last Halloween, we were short one family member. We didn’t know it at the time, though. We *thought* our family was complete. But just a few months later, we found ourselves welcoming a new member of the family. A short, furry, four-legged family member…but a family member nonetheless. We call him Snoopy, and we are excited to have him with us for this year’s Halloween festivities. In fact, I’ve kind of gone above and beyond to make sure he’ll have the full Halloween experience. I wouldn’t want him to feel left out, right?! I made him a costume (he tried it on today and would probably disown me if he could…he was basically mortified, as you’ll see in his picture at the bottom of this post), and we bought some Halloween treats for him and a few of his closest canine buddies. 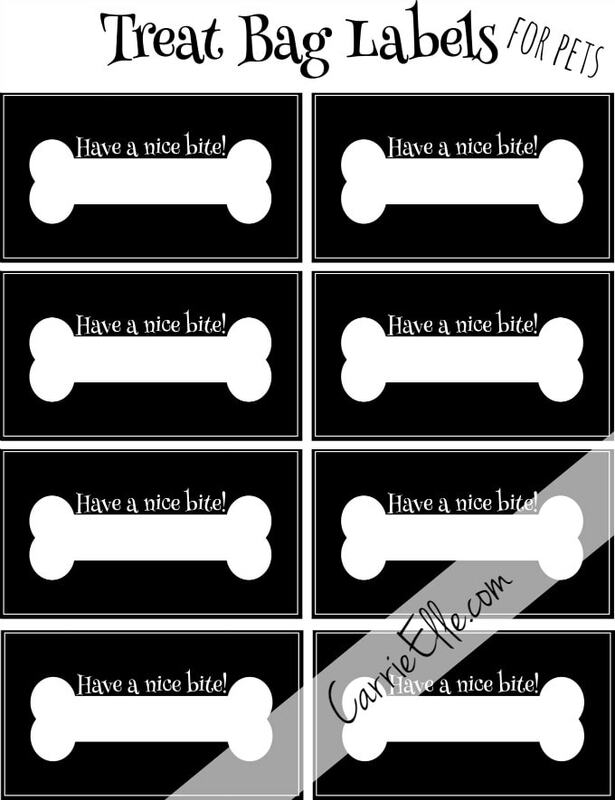 And because we get our share of trick-or-treating pets around here, I made some cute little printable treat bag labels for pets, too. Snoopy has a very sensitive stomach. Our Kroger has a huge pet section, and I found some Milkbones and Pup-peroni to use. Claire helped choose a box (not sure what she based her choice on, but I think it was the dog on the front), and was very excited about the idea of Snoopy getting to trick-or-treat with us this year! We put two Milkbones and one Pup-peroni in each bag, punched a hole in the label, and tied it on with a ribbon. It didn’t take long, and they turned out super cute. I don’t know if I’ll be able to wait until Halloween to share these with the neighborhood dogs! But now what you’ve all been waiting for. The Dog Costume. The one I decided I’d make because how hard can it be to make a Darth Vader costume for a dog, right?! Ha! Making the costume? Not so hard. Trying it on the dog and getting him to sit still for a picture? Not so easy. I may have traumatized Snoopy for life, but if you’re going to be a pet in our household, you’ve got to be okay with wearing a costume every now and then, because dressing up dogs is the best. Welcome to Halloween in the Lindsey household, Snoopy. You’ve been initiated. We’re so grateful to have the Snoopster in our lives, and I’m excited to spoil him (and his friends) with Halloween treats this year. I mean, with a face like that…who wouldn’t be? Do you get the pets involved in the Halloween festivities? What do you do to celebrate? EXACTLY! He was just in character. lol! I love these treats! Perfect for all those puppy trick-or-treaters! Yeahhhh, he was *really* happy to assist! Ha! Such a fun and cute idea! Thanks for linking up to Sweet and Savoury Sunday, stop by and link up again. Have a great day!! This is a fun idea for including furry friends in the fun of Halloween! What a great idea and way to include our four legged friends in Halloween fun. Thanks for sharing at my link party and featuring these when this week’s party opens tonight. So cute! We spoil our dogs too and sometimes dress them up!! I love these little tags! Pinning! I love dressing pets up! Don’t mean to be a Debbie Downer, but you might want to expose Snoopy to a few adults in costume before you “present” him with a bunch of little “monsters” running about. Many dogs that are perfectly wonderful and adaptive dogs normally, will FREAK when presented with someone in costume (especially with masks.) Wouldn’t want all your prep to go to waste or become a bad or scary experience for Snoopy OR the kids – not to mention the possibility of an errant bite being taken of another animal or human. Just a helpful warning. I’ve had dogs for most of my 51 yrs and each has dealt with “holidays” in very different ways, so I just urge caution. Good luck!!!! 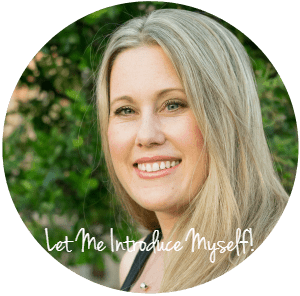 Thank you Lora – great advice!! We actually decided to keep him home last year for the reasons you describe and I think we’ll do the same this year. As sweet as he is, I think he’d be traumatized by all the trick-or-treaters. Very cute idea on the treats! I’ve never attempted to dress our dogs up before…I wonder how they’d react! Such a cute idea. Our pups would love these. I’d love to pass them out. 😉 Thanks for sharing at the Inspiration Spotlight party @DearCreatives Pinned & sharing.